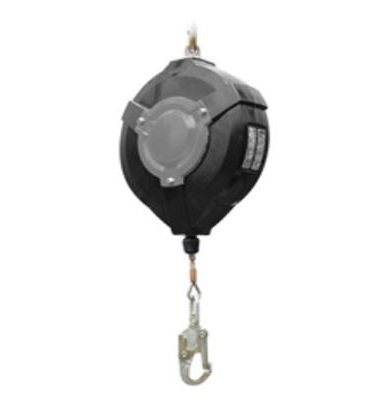 The 33m Fall Arrest Device is designed to provide fall protection from falls from height. Anchored above the user, it gives the user a safe area of work. The retracting line pays in and out of the device as the user moves. In the event of a fall, a brake engages, arresting the fall of the user with a controlled deceleration force.